Captain Bruno Montalbano, of 27 metre sailing yacht My Lotty, reveals how to explore the wild beauty of this culturally rich Italian region... Day 1 Meet My Lotty in Marina Villa Igiea, which sits at the heart of the historic city of Palermo. Explore the architecture and then enjoy dinner at the Grand Hotel Villa Igiea, overlooking the marina. The private dining room of the hotel’s Cuvée du Jour is the most coveted table in town. Chef Carmelo Trentacosti’s experimental take on Sicilian fare includes red mullet stuffed with rock shrimp. Meet My Lotty in Marina Villa Igiea, which sits at the heart of the historic city of Palermo. Explore the architecture and then enjoy dinner at the Grand Hotel Villa Igiea, overlooking the marina. The private dining room of the hotel’s Cuvée du Jour is the most coveted table in town. Chef Carmelo Trentacosti’s experimental take on Sicilian fare includes red mullet stuffed with rock shrimp. Sail west from Palermo, passing the pretty hillside town of Scopello. Tender in to the famed Tonnara di Scopello, a former tuna cannery that was featured in the film Ocean’s Twelve. 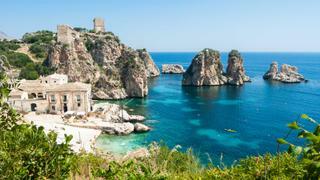 Just beyond is the Lo Zingaro Nature Reserve, which is only accessible by foot or boat. The crew will find a quiet cove for a picnic lunch. 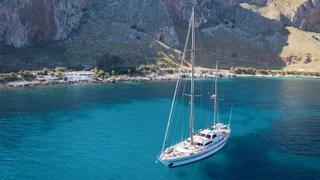 Afterwards, cruise to an overnight anchorage near the famous beach at San Vito Lo Capo. 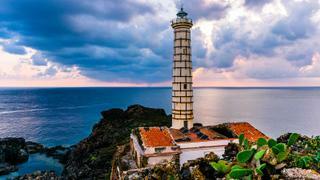 Take a detour north to the rugged island of Ustica. The burnt out underwater volcano is known as the Black Pearl of the Med and the 5km island protrudes to a maximum of 239 metres above the surface. If you dive, try Cape Gavazzi, the world’s first underwater archaeological museum, where you can see remnants from Roman shipwrecks. The next morning cruise south to Mozia. 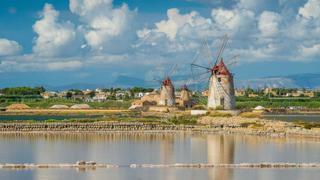 Set in the Stagnone Nature Reserve between Trapani and Marsala, this island’s history stretches back more than 2,700 years to when the Phoenicians built a trade outpost here. Visit the museum, which displays artefacts found on the island, before a private local lunch. Sail west to the wild Aegadian archipelago. 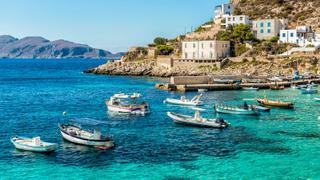 The trio of islands – Favignana, Levanzo and Marettimo – are each beguiling in their own way. 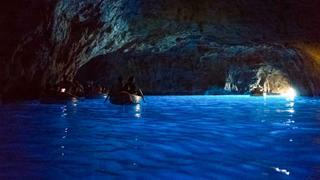 On Favignana, take the tender and tuck into Grotta Azzurra (right, named after the colour of the water), Grotta dei Sospiri (the grotto of sighs) and Grotta degli Innamorati (lovers’ grotto, so named because of two identical rocks that stand side by side). Arrive in the peace and quiet of Levanzo, which is the least populated of the islands. You may feel like the first person to have landed here but cave art found in the Grotta del Genovese will prove otherwise. Enjoy a dinner on board under the stars, basking in the thrill of solitude. Head to the steep and rocky island of Marettimo, which offers a myriad of hiking trails and lookout points. My Lotty will drop anchor at Punta Cortiglio in the south, where you can swim and snorkel in the quiet waters. 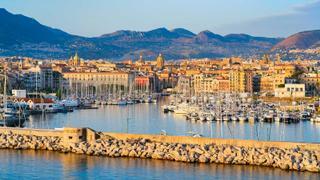 Afterwards, soak up a brilliant sunset and have a final dinner on board before cruising back to Palermo overnight.